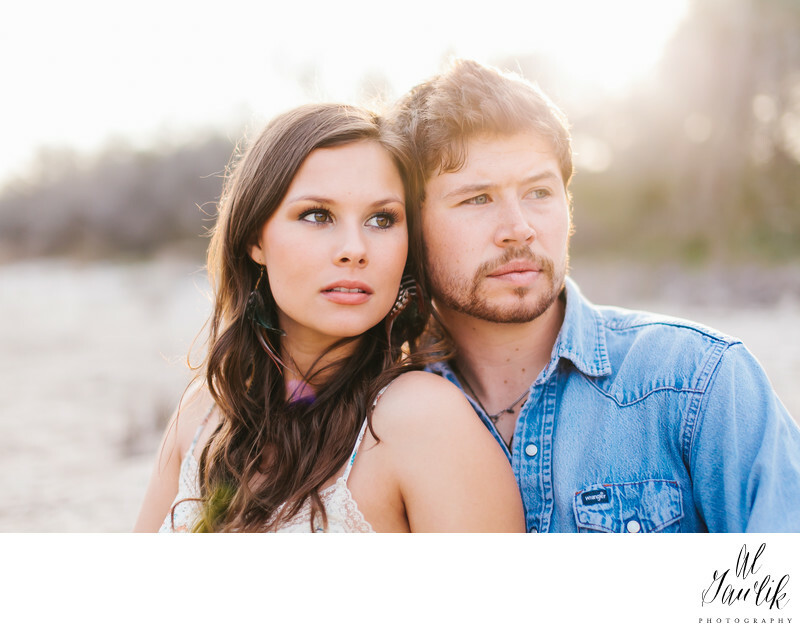 Add more personality to your photos by choosing the location of your engagement session! I?love when a couple suggests having their photos taken in a spot that is sentimental to them, as it makes everyone more relaxed and allows them to focus on each other throughout the shoot. is there a spot that you went on for your first date? a cute local coffee shop where your first kiss was exchanged? If you need suggestions, Iam here to help! whether you have pictured a serene field or an urban environment as a backdrop for your photos, I have plenty of suggestions! While it is great to compliment your future partner in photos, by no means do the two of you need to wear matching outfits. If your other half is more comfortable in solid colors, try choosing something with a little texture. patterns are a great way to add contrast to your images. be creative, and let your unique personality shine through! if you want to bring a favorite book, heirloom, or other meaningful prop, this is a great way to make your session totally unique! We also love when couples bring their pets. All sessions are scheduled two hours before sunset in order to capture the day’s most beautiful, natural lighting.